Home » Our Doctors » Lizeth Molina, O.D. Dr. Lizeth Molina was born and raised in Houston, Texas. She attended the University of Houston where she graduated with a B.S. in biology and a minor in chemistry. 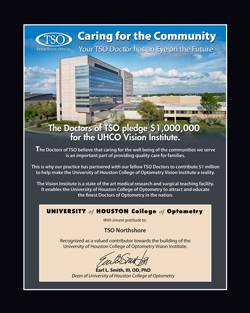 As soon as Dr. Molina graduated, she went straight into optometry school at the University Of Houston College Of Optometry to complete her doctorate. During optometry school, one of her externship sites was a low income clinic in Houston where she helped keep Houston eyes healthy. Her other externship site was in Albuquerque, New Mexico at the Indian health service where she expanded her knowledge of diabetic retinopathy and iritis. 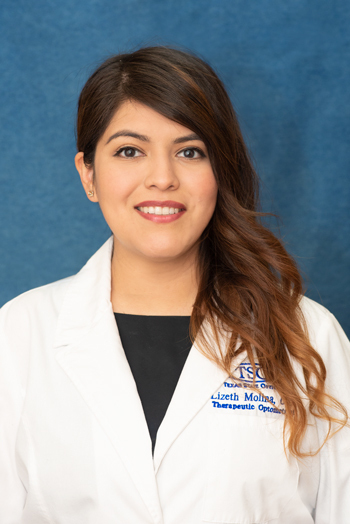 Dr. Molina has been working at different offices while in undergrad and optometry school and has over 8 years of experience in the optometry field. Dr. Molina specializes in diabetic retinopathy, glaucoma, lasik co-management and contact lens fitting. “I have always had bad vision, but as a teen, I met an Optometrist who fit me in my first pair of contact lenses. I didn’t just see better, I also became fascinated by the concept of sight and the science behind it. I wanted to learn all the things the doctor did to improve my vision and from then on, I knew what I wanted to do with my life.” states Dr. Molina, on why she chose the optical field. In her free time, Dr. Molina likes quality time with her family, friends and her little cat Tom. Traveling has allowed her to know about different cultures and natural places, “so it has always interested me” says Dr. Molina. She also likes to explore Houston and Texas whether at a new restaurant, park or a quiet place to relax. Dr. Molina speaks both Spanish and English fluently and looks forward to serving you and your family at your next eye examination!